We always enjoy learning how people use Multisite and have heard many stories over the years. Today though we head in the other direction to take a look at how people use Multisite from a statistical point of view. If you’ve ever wondered how your usage compares to that of others this is the article for you! Only if you give permission do we gather anonymous data. We use this information to ensure we support meaningful configurations, understand usage patterns, focus our testing and to be aware of emerging trends. To put this article together we took data from 608 unique (by IP address) customers pulled from a portion of April 2012. The first chart looks at what version of Mac OS X people are using with Multisite in April 2012. This information changes (i.e. becomes outdated) fairly rapidly as Apple releases new versions of Mac OS X. 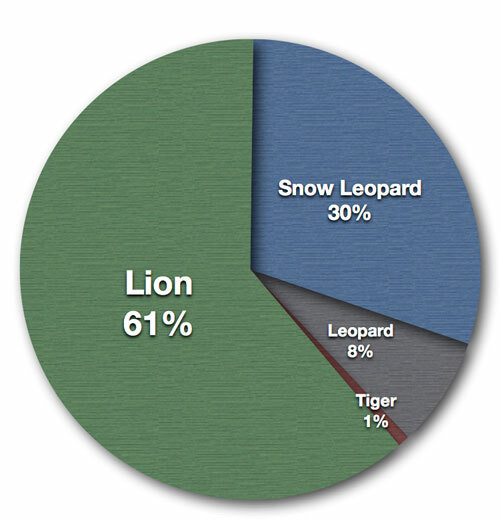 From this chart we see that Lion adoption is well underway and that Tiger and Leopard have dropped off significantly. From this we see that 6% of Multisite users have a single site, just over 10% are managing 2 sites, 8% are managing 3 sites and so on. Combining everyone with 10 to 19 sites adds up to 19% and finally those with 20 or more sites cumulatively accounts for the final 20% of the population. The first time we saw this data we realized 39% of people have 10 or more sites and 1 out of 5 people have 20 or more. This discovery made it clear that finding a particular site to work on is tedious for a lot of people. Since the next site they want to work with likely isn’t visible on screen and they’ll have to scroll to get to it. So in Multisite 3.1 we added search to quickly find a site by name as well as keyboard navigation so you don’t have to reach for the mouse to switch your current site – just use the Find (CMD-F), “Tab”, arrows, and the “Return” key for quick mouse free navigation. 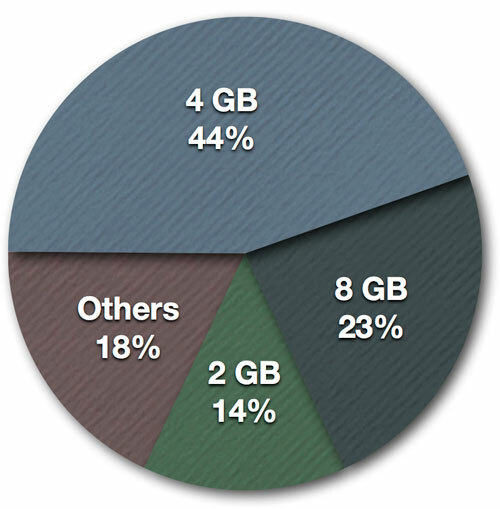 From this we see that 4 GB of memory is the most common and Macs with 8 GB are the next most frequent configuration. Multisite is an English only application. 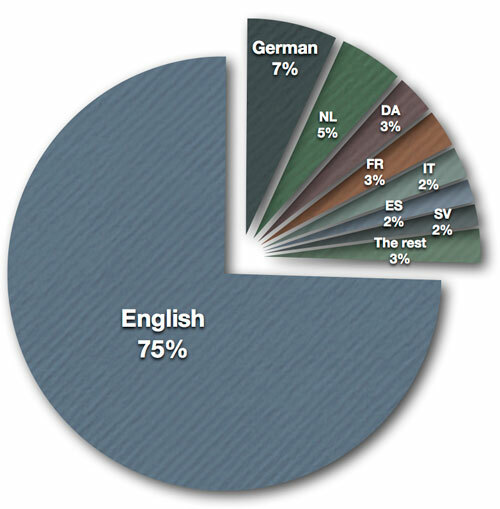 However, by viewing what people have as their preferred language we see that 3 of 4 default to English. Put another way 1 out of every 4 would prefer another language if we were to localize the application. Wow you’ve made it through the charts and now have a better feel for the stats of Multisite users and their hardware. It was a lot of fun analyzing the data and creating the charts. I hope you’ve enjoyed it! ZibblerTrip is one of our recently-revealed iOS apps. It was under wraps and in development for nearly a year before we released version 1.0. 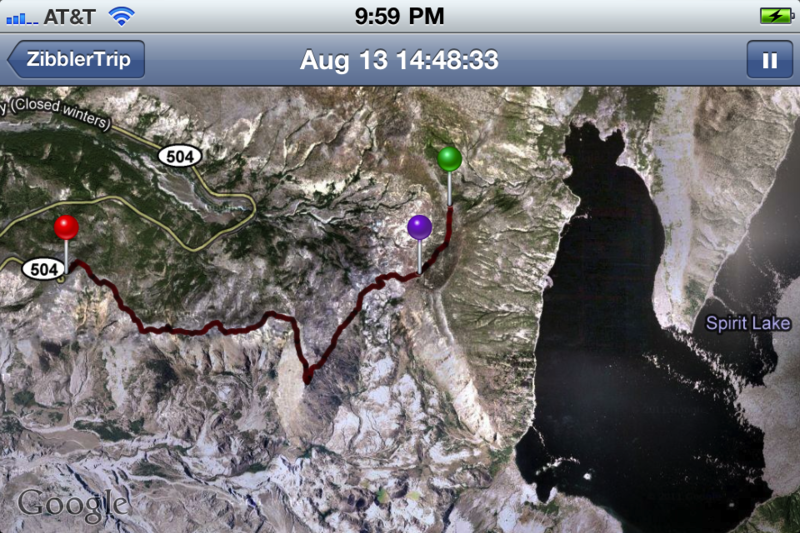 ZibblerTrip, on its surface, is a perfectly capable GPS-based speedometer app. But the driving force behind its design is to be even more useful later, after your trip is finished. This gives you a very clear overview of what portions of the trip may have more stoplights, or maybe were surprisingly fast. So even the on-device post-trip analysis tools can be useful. And ZibblerTrip 1.0 is a first cut. We will be building on this foundation for a long time yet. In the future, expect more trip analysis features on the device. But even today, you can export trip data. You can email the raw data to yourself and import it into a spreadsheet. The GPS support offered by Apple’s iPhones (and some iPads) is really amazing in the amount of data it supplies. 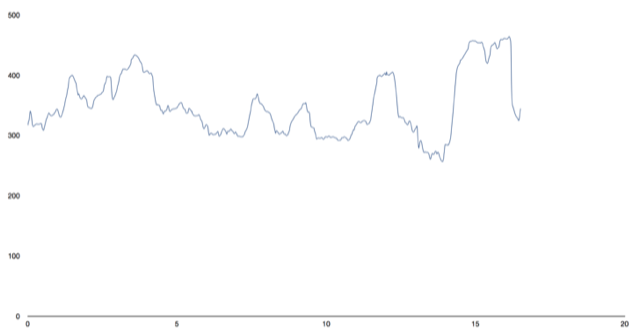 You can see very fine-grained speed data, elevation data, and more. A few minutes in Numbers.app or Excel and you can wring out fascinating meaning. I’ve even used a spreadsheet to compare alternate routes, and I’ve found that my commute can be split into different legs that can be combined in interesting ways; I’ve also found that the optimal route to work can be different than the optimal route away from work. We’ve recently released a new iPhone app, and just for kicks this one is a game. It was a BASIC program that printed out new lines to the bottom of the screen, while an ASCII spaceship on the top of the screen could be controlled by the arrow keys (or, for the especially ancient versions of this program, the comma and period keys). The program would PEEK the screen (ahh, PEEK and POKE, the hacker tools of the mid-80s) to see if a crash was imminent. I’ve been using and developing for iOS devices for long enough that it is finally time to face the inevitable: the iPhone needs this app. During a Clarkwood Retreat, ASCII Astro was a primary focus. The retro ASCII obstacles scrolling up were necessary, of course, but with a device as sophisticated as the iPhone, we could let the accelerometer control the spaceship. And that’s really a quick brain dump of how ASCII Astro finally made it to the iPhone, where I daresay it’s the most satisfying variant of this 2.5-decade-old chestnut yet. We (Clarkwood Software, LLC) in general and I (Bob) in particular are thrilled that after months of work, Peek-a-Boo is finally available on the Mac App Store. The Mac App Store is a new channel for us, so we’re still exploring how, exactly, we’re going to manage the two Peek-a-Boo variants or “flavors” going forward. And we’re going to have this conversation publicly (here!) so if you have opinions about what we’re doing right or (especially!) wrong, then please drop in a comment. The plain old vanilla “Peek-a-Boo” name is migrating to the Mac App Store. If you use the variant of Peek-a-Boo downloaded from the Clarkwood Software web site, it will be named Peek-a-Boo ST. There are some technical restrictions for applications that get sold through the Mac App Store. Peek-a-Boo needed to be changed for the Mac App Store version to avoid violating these restrictions. Basically Peek-a-Boo used to ask for authentication in order to extract process information (and perform some process management tasks) that require special OS permission. Peek-a-Boo ST still requires this authentication, and can still perform these tasks. Peek-a-Boo through version 2.8.5 installed a helper process (PeekHelperB) to do the low-level process information extraction, and to handle some of the more powerful process management features. Peek-a-Boo ST continues to install and use this helper process. But Peek-a-Boo (from the Mac App Store) does not install a helper process. Peek-a-Boo now relies on top. It turns out that with OS X 10.7 Lion, the included top command-line utility includes much of the raw information that Peek-a-Boo uses in an easy-to-parse format. These are all mentioned on the Peek-a-Boo web pages, but here is a list of the differences between Peek-a-Boo ST and Peek-a-Boo all in one tidy bulleted list. Although the major process information properties are available in both Peek-a-Boo and Peek-a-Boo ST, there are a few properties only available in Peek-a-Boo ST. For example, Peek-a-Boo can get the CPU time used of a process, but only Peek-a-Boo ST can extract how much of that CPU time is user time and how much is system time. Peek-a-Boo ST lets you “kill” a process. It escalates through four increasingly-severe mechanisms (see the “kill” section on the process actions page). The final two mechanisms — the “most severe” — require the PeekHelperB daemon, so Peek-a-Boo omits these. Peek-a-Boo ST lets you “halt” a process and “continue” a halted process. Peek-a-Boo omits this feature. Peek-a-Boo ST lets you “renice” processes; Peek-a-Boo omits this feature. Peek-a-Boo ST gives you much finer control over the speed with which most of the windows update. (Some background information is available in the performance tradeoffs with a shout-out to Heisenberg article.) Peek-a-Boo removes many of these timing options. Since the Mac App Store handles updates whenever a new version of Peek-a-Boo is released, Peek-a-Boo no longer includes the (wonderful!) Sparkle autoupdate system. Peek-a-Boo ST continues to use Sparkle for automatic updates. Peek-a-Boo has been priced around $20 for its entire lifespan. We felt a little guilty charging a full $20 for a version of Peek-a-Boo that does not support the full feature set of Peek-a-Boo ST. We’ve priced the Mac App Store version of Peek-a-Boo at $9.99. I guess here’s how I think about it: 90% of Peek-a-Boo ST for half the price. But that last 10%. Wow, that can be a doozie, if those features are features that you care about! So if you need the strong-arm tactics of a full-blown unix kill command, then Peek-a-Boo ST is still available downloadable from the Peek-a-Boo web site. Pricing decisions are always an ongoing conversation, though. We may fiddle around in the months and years ahead. Maintaining two variants of Peek-a-Boo — especially when their internal architectures differ as much as Peek-a-Boo ST and Peek-a-Boo — is tricky. We may try to merge these products. One option — and this is me thinking out loud here — would be to have a single variant and a separately-purchasable downloaded component that handles the extra features of Peek-a-Boo ST. In any case, we’ll be thinking about how best to continue moving Peek-a-Boo forward. Peek-a-Boo has been around for almost twenty years! Figuring out how it fits in with the Mac App Store is a very rewarding chapter in Peek-a-Boo’s story. What Is Special About Peek-a-Boo? Peek-a-Boo is Clarkwood Software’s OS X application to watch processes. There are several factors that we think make Peek-a-Boo special; this blog entry explains some of the decisions behind Peek-a-Boo’s design philosophy and why Peek-a-Boo has been maintained, updated, and used for two decades. Side Discussion: What is a Process? Basically a process is a program running on your Mac. When you start up your Mac and begin to work, there are dozens of processes running simultaneously behind the scenes to keep your Mac working. Each application that you open is another process, and each process may spawn even more. Peek-a-Boo is the most intuitive way to explore what’s happening in the universe of processes on your Mac. Peek-a-Boo offers a wide choice of ways to help you explore the processes running on Mac OS X; you can choose between watching overall system behavior in a variety of windows, or zooming in to scrutinize individual process behavior. Use Peek-a-Boo’s innovative OpenGL-powered Process Throb window for a hypnotic (yet useful) display of your OS X system’s processes. Or use the traditional Process List window to watch whatever process attributes you care about. A primary design philosophy of Peek-a-Boo, since its 1.0 release in 1993 (well before OS X; in fact, System 7 was the current Mac operating system), has been that it should be able to show as many items of process information as possible, and allow the user the freedom to pick which of those items are important to view. That’s why you’ll never see a version of Peek-a-Boo with a handful of process information items hardcoded to what we think is the most important set of process information properties. There are two common kinds of processes encountered on OS X (and a third rarely encountered kind), and Peek-a-Boo is the only utility able to display information about each kind. OS X Applications are processes which are OS X native and offer a user interface. Generally if a process has an icon, it’s an OS X Application. Darwin processes are generally lower-level processes, which do not offer a friendly user interface. These can be seen from command-line tools like ps and top, as well as from Peek-a-Boo. Virtually any piece of information can be seen in Peek-a-Boo’s process list. The View menu contains one submenu with many pieces of information that Peek-a-Boo knows how to extract (the Built-in Items submenu), and another submenu with all the pieces of information extractable by the ps (process status) Darwin/Unix utility. OS X offers several different ways to extract process information, and Peek-a-Boo uses all of them. OS X’s Unix foundation supplies many pieces of information for each process (except individual Classic applications). The ps command-line tool offers several dozen pieces of information for each process (except individual Classic applications). The Carbon Process Manager offers information for each running application (but not low-level Darwin/Unix processes). The Classic Process Manager supplies additional information for each running Classic application. Peek-a-Boo is the only utility available which can extract information from all these sources and coalesce all the information into one easy-to-understand interface. Peek-a-Boo’s design philosophy is heavily biased towards being able to analyze information on a process-by-process basis, as opposed to a system-wide basis. This focus can be seen in features such as the CPU Usage History windows and the Logging windows which also enable logging information to a file. Peek-a-Boo has a history of being very highly customizable. The tyranny of being bound to eight pieces of process information is over! The View menu allows extraordinary customization of which process items you see (only a few if you want, or a plethora of arcane process data if you’d prefer), and the Preferences panes allow further view-specific customization. Peek-a-Boo makes it easy to monitor resource usage. Memory information takes the guesswork out of knowing when adding memory will improve performance; and Peek-a-Boo’s graphical CPU interface makes it clear when performance is CPU-bound. Peek-a-Boo makes it easy to notice processes that are using a surprising amount of memory or CPU time. The logging windows can be very helpful for detecting processes that may leak memory over time. These features can be particularly useful to developers and quality assurance departments as well as anyone who simply wants to know what’s going on with the applications they are running. Peek-a-Boo makes it easy to perform process-specific operations such as bringing an application to the front, hiding an application, or killing a process. Obviously some of these features must be used with care, but having many common “tools” at your fingertips makes Peek-a-Boo an even more useful process-watching utility. Peek-a-Boo focuses on two things: clarity and flexibility. 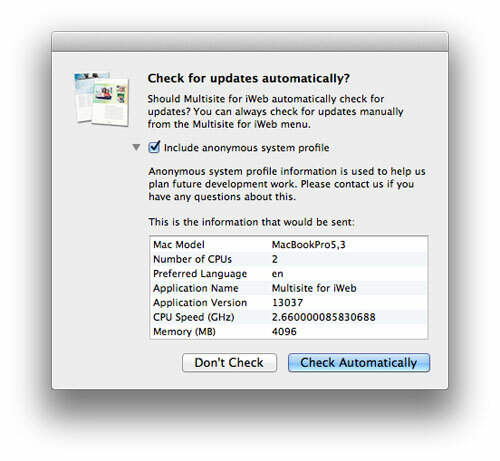 From the moment you first launch Peek-a-Boo, it will be clear what is happening with processes on your Mac. And you will find the flexibility to explore any process-related questions you face. powerful and beautiful tool to twirl into process-comprehension nirvana. We’re confident that even if your frustration (towards the Mac’s complexity) is at its peak, a quick peek under the hood will pique your curiosity and lead you upwards, onwards, and forwards, twirling into process-comprehension nirvana. Give Peek-a-Boo a try; see if you would also describe Peek-a-Boo as the utility you didn’t realize you needed.